Looking to boost the graphics horsepower of your HTPC, small-form-factor machine or pre-built system but don’t have room for a full-size graphics cards? Perhaps Gigabyte’s latest GTX 1050 or GTX 1050 Ti may fit the bill. The hardware maker’s new GeForce GTX 1050 OC Low Profile 2G and Low Profile 4G aren’t nearly as large as their bigger brothers yet still pack in plenty of punch. The 2G model features a base clock of 1,366 MHz in game mode and 1,392 MHz in OC mode while the 4G Ti model is good for 1,303 MHz and 1,328 MHz in gaming and OC modes, respectively. As the names suggest, the standard card comes with 2GB of GDDR5 memory with the Ti variant doubling the capacity to 4GB. Both also support up to four displays (via two HDMI connectors, a DVI connector and a DisplayPort connector) and consume two expansion slots. What’s more, they don’t require auxiliary power via 6-pin PCIe cable meaning you won’t need a beefy PSU to run them. Plus, that’s one less cable restricting airflow and junking up what may otherwise be a tidy installation. 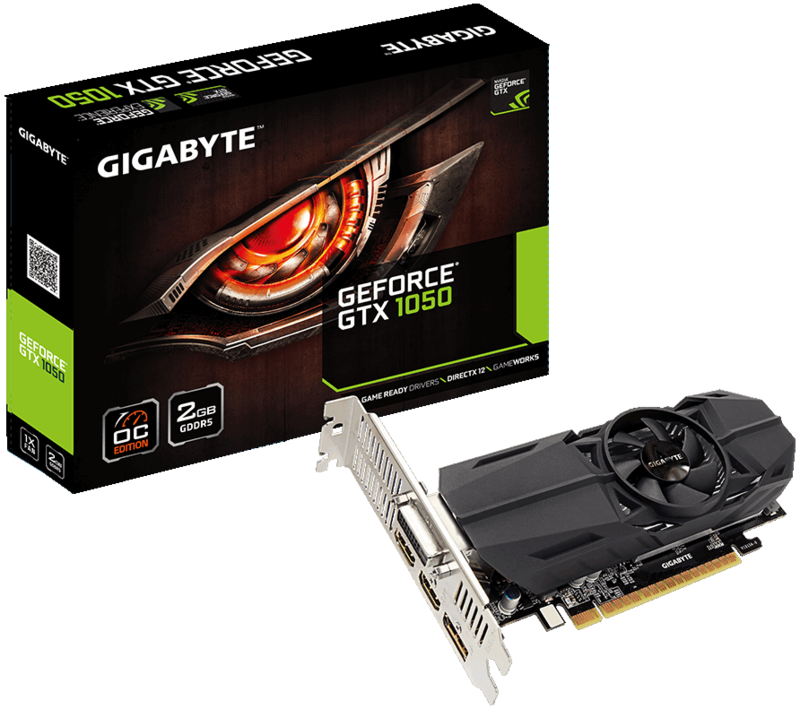 Gigabyte hasn’t yet pinned a price tag to these cards although as The Tech Report correctly highlights, half-height cards like these usually command a few bucks more than their standard-size variants. MSI, who launched similar slim 1050 cards late last year, priced theirs around the $155 mark.